A woman in her 30s has died following an incident in Louth this afternoon (Saturday), and a man has been arrested on suspicion of murder. The news follows a previous report of a ‘major incident’ in Louth earlier today. In an update this evening, Lincolnshire Police said: “We can now confirm that a local woman in her thirties was pronounced dead at the scene at a house in Lacey Gardens, Louth, this afternoon. 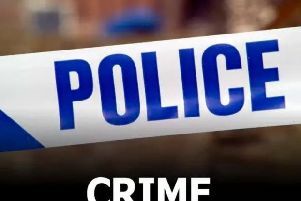 “It is now been treated as murder and a 27 year old local man has been arrested on suspicion of murder and is in custody at Skegness Police Station.